Shake Shack rolling out a featured shake for #17? You know I’m on it like 0.5 seconds on the clock. The shake tasted as advertised. It was a thick minty chocolate concoction. There weren’t many sizable cookie chunks, so the shake was very drinkable. 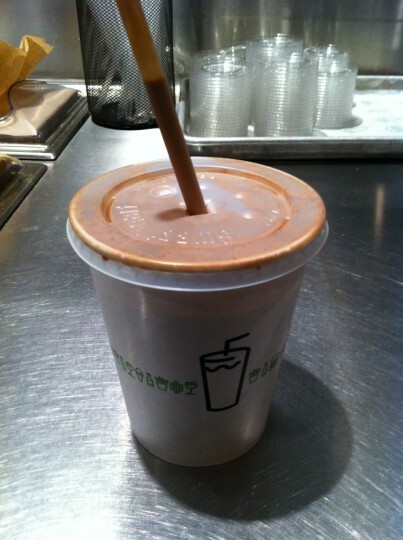 For cheaper (and more practical) shake fixes, I’d recommend Potbelly or Steak ‘n Shake Signature. This is a total ThisIsWhyYoureFatMoment, but the prices for each places’ shake (incl. tax) are as follows: Shake Shack $6.26, Potbelly $3.48, and Steak ‘n Shake $3.80 (with candy/cookie filling). 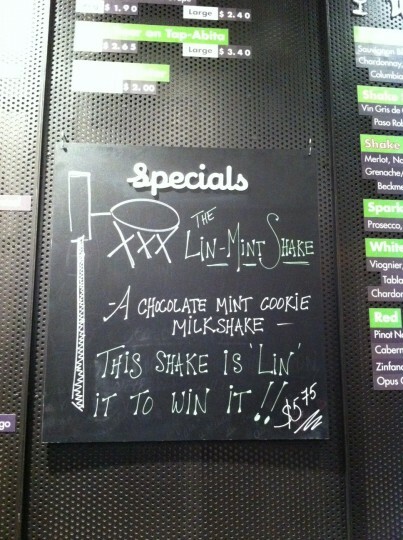 This entry was posted in Food and tagged chocolate, cookie, jeremy lin, lin-mint, linthamist, mint, shake shack on February 20, 2012 by Rex.